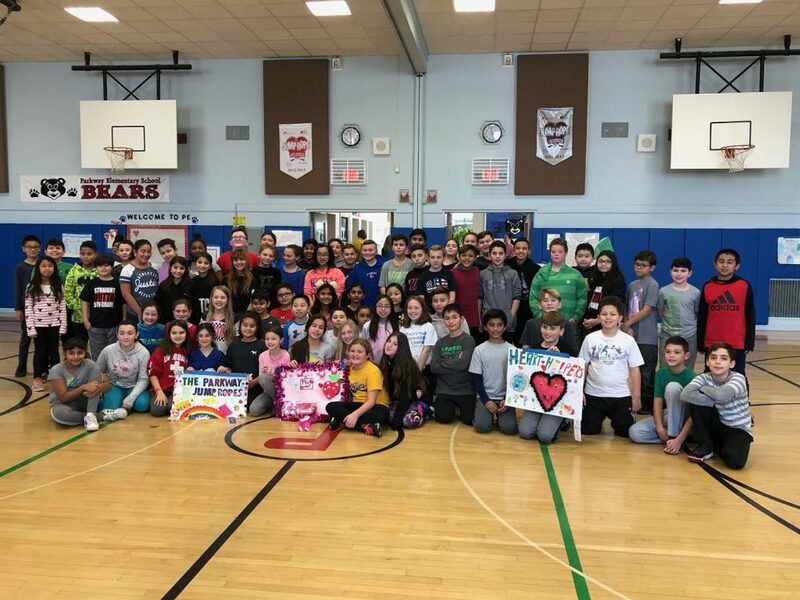 The Kids Heart Challenge proved to be a highly successful program in the East Meadow School District, as Parkway and Bowling Green elementary schools have raised a combined $15,000 for the American Heart Association. The program teaches school-aged children how to keep fit and healthy while having fun and raising vital funds for heart disease research and education. The third, fourth and fifth grades in both schools participated in jump rope activities during their physical education classes while also raising money through online donations for three weeks. The top individual fundraiser at Parkway was fourth-grader Eric Palmeri, who raised $529. Meanwhile, third-grader Zin Naqvi raised $580 to be the top earner at Bowling Green. The district congratulates both schools for a great fundraising effort! Photo caption: Students at Parkway Elementary School created posters for the Kids Heart Challenge.